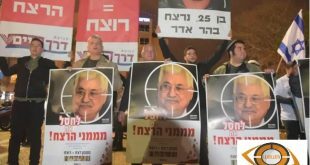 Video: Burning of Palestinian President Mahmoud Abbas by terrorist settlers in front of Netanyahu’s house and inciting to kill him on 15-12-2018. 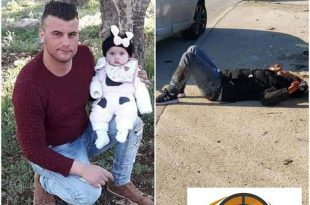 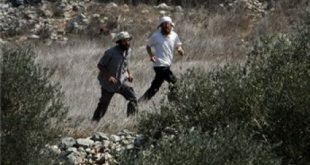 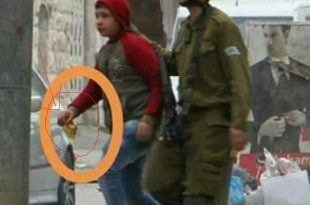 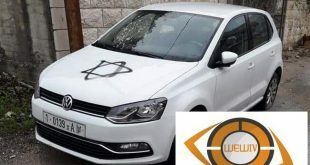 Sunday 25-11-2018 On Sunday morning, terrorist settlers attacked al-Mughair village, northeast of Ramallah, damaging tires of vehicles belonging to Palestinians and writing racist slogans against Palestinians. 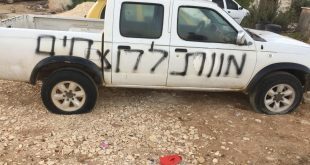 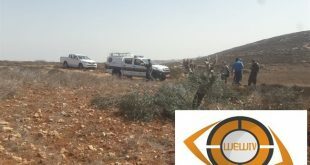 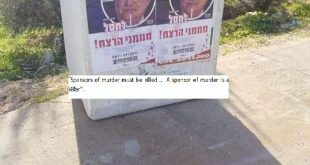 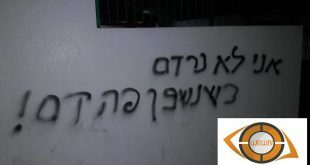 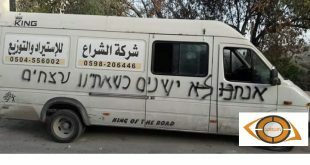 Pictures – Terrorist settlers wrote racist slogans on Palestinian vehicles in Marda village, north to Salfit governorate, on Monday 22/10/2018. 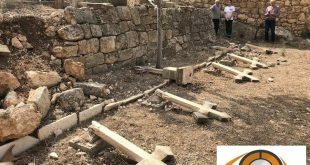 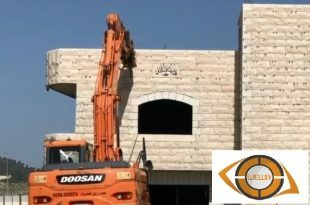 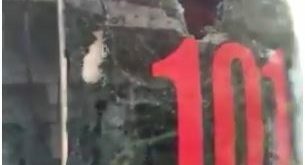 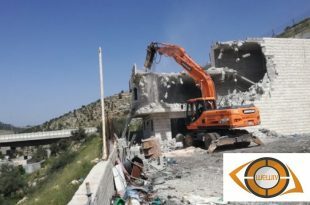 Terrorist settlers attacked Salzian monastery tomb, “Deir Jamal” in occupied Jerusalem and destroyed the gravestones which are 27 concrete crosses.